As I discussed the issue earlier, the National Tattoo Museum, Wellington is on the verge of closer due to lack of funds. Now the authorities have issued a new series of stamps for Universal Mail postboxes in order to raise the required funds. 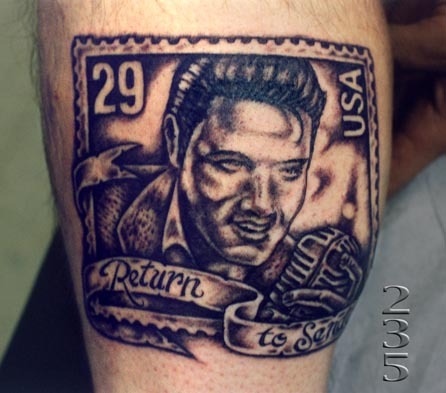 The stamps are marked with pictures of New Zealand tattoos and tattoo artists. It’s a last effort by the museum to stabilize its financial position and pay the hiked rent. The picture above is not related to the museum in any way, it’s just a tat of the KING.